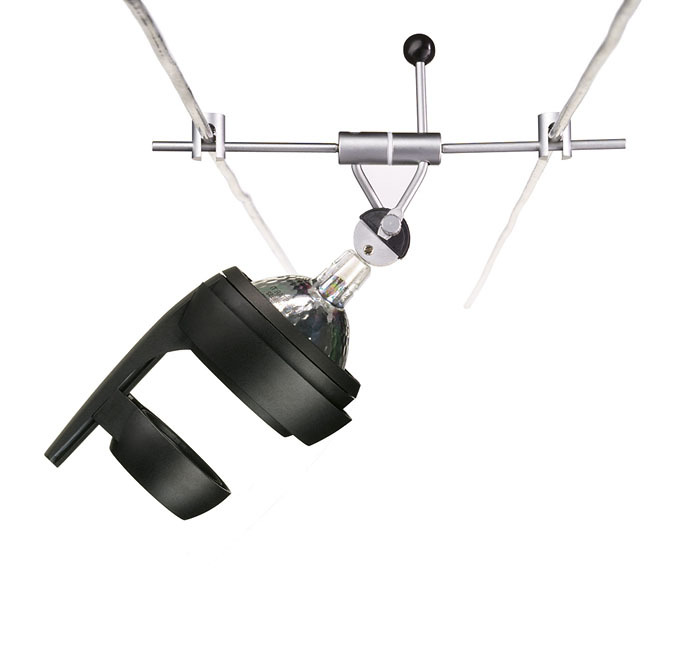 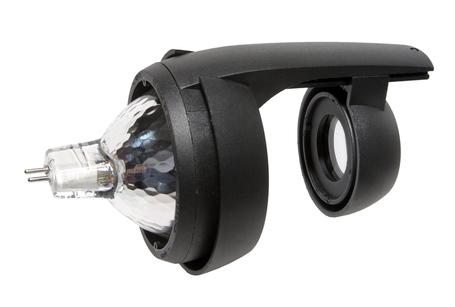 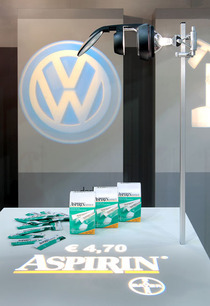 The projector head for multi mirror lamps (MR16) can be put on every commercial 12 volt halogen system. 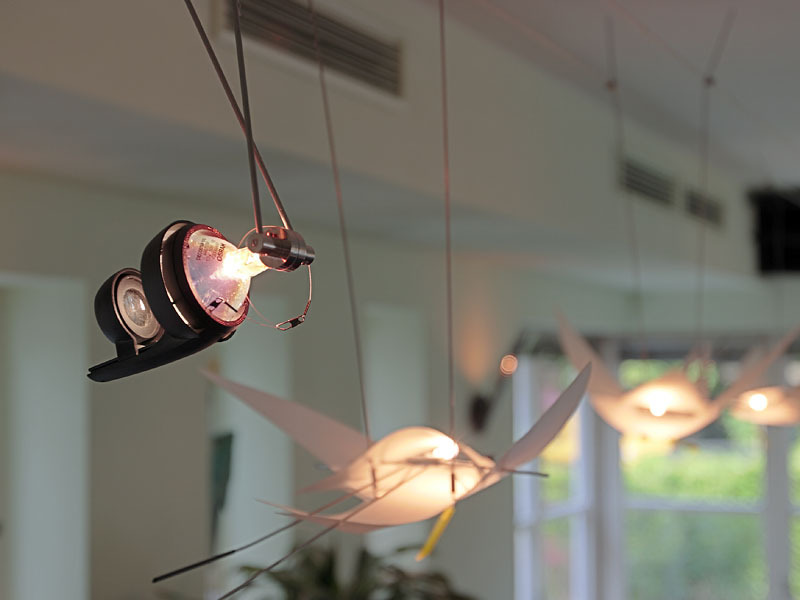 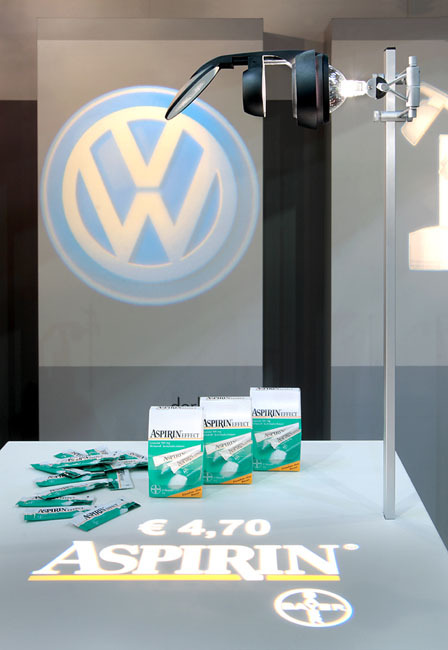 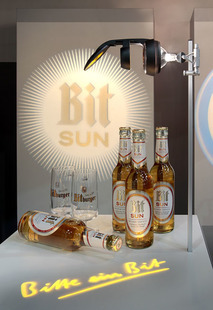 As a result, motifs can be projected with minimal expenses where a halogen system is already installed. 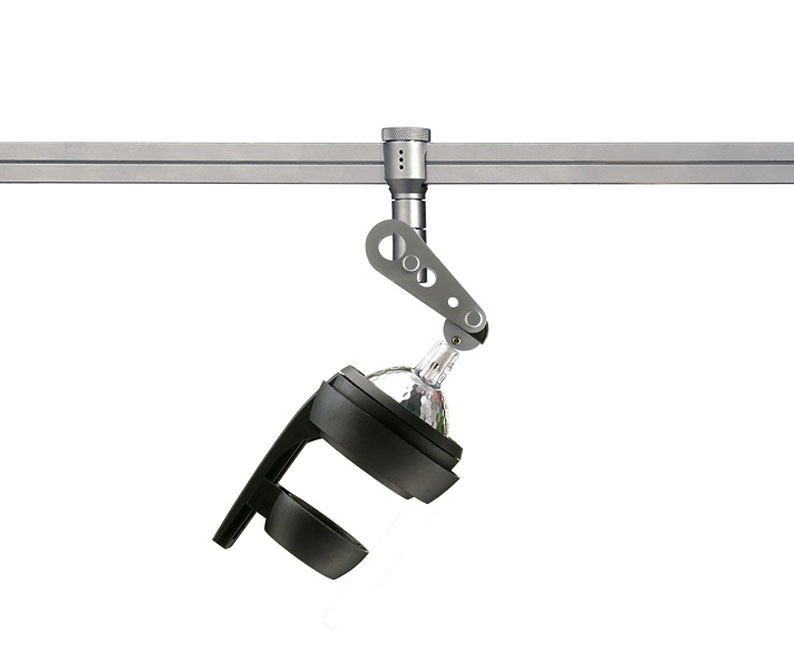 The mounting happens without tools, just by plugging in the projector head and the delivered mirror lamp. 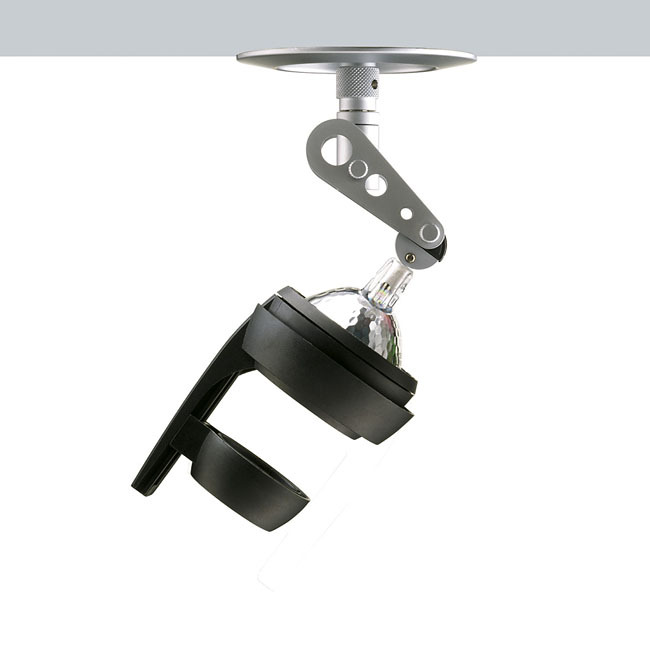 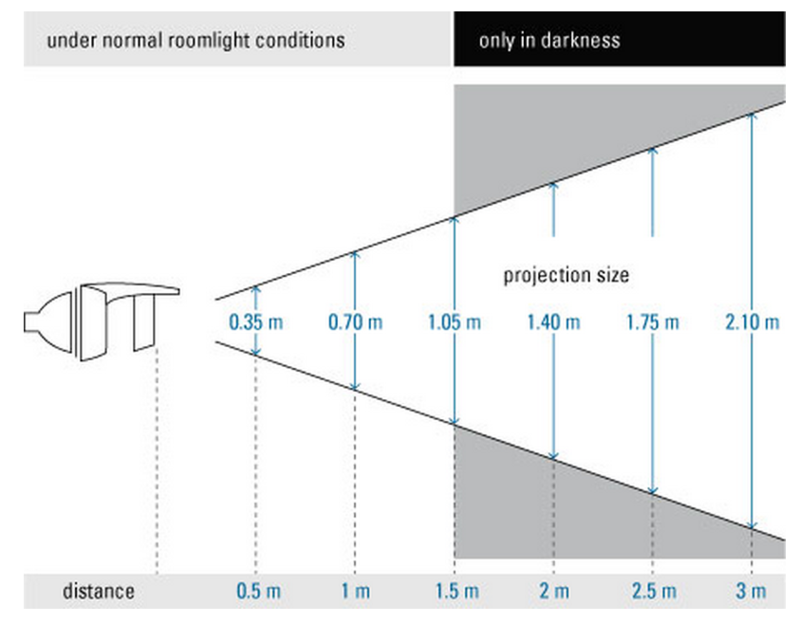 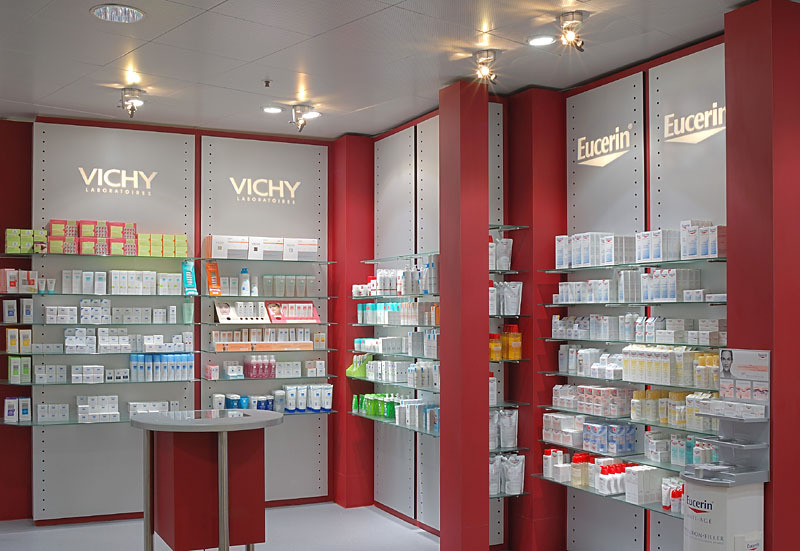 Whether on desk lamps, cable systems, contact rails or ceiling spots - the possibilities of use are nearly limitless. 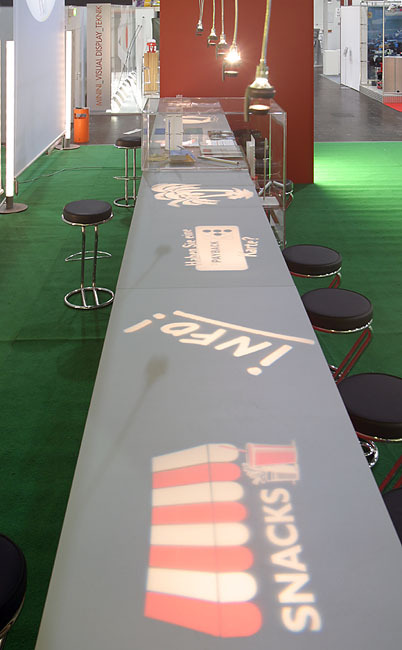 We offer gobo projector DERKSEN GOBOTOP PROJECTOR HEAD in one colour variation: black.